The Y x Hopps pups were born on May 13, 2017! 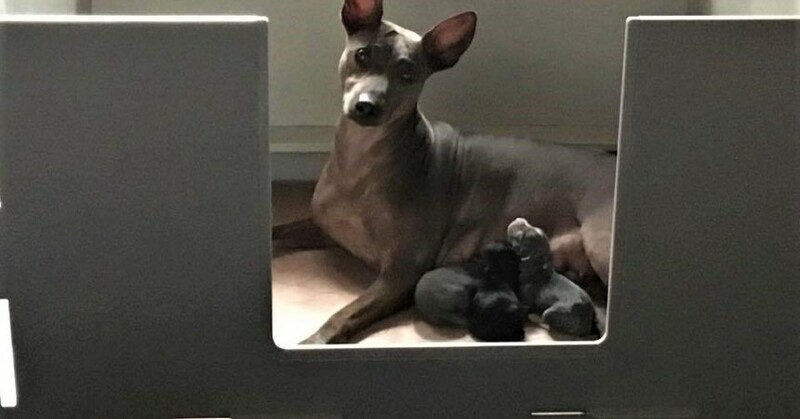 They had 3 beautiful pups: 2 coated girls and 1 hairless boy. See the bottom of the page for pics of the pups! Y was born in Finland and became our 3rd AHT import from our dear friends Sari and Ari. 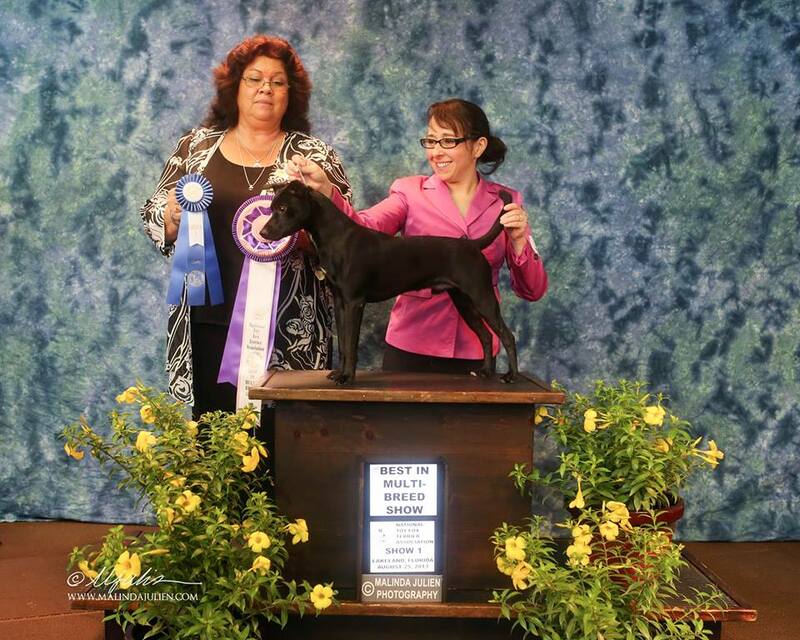 Y earned her Champion and Grand Champion conformation titles in UKC quickly. She has also earned her aptitude titles in flat and steeple racing. She also has her lure coursing aptitude title and many runs towards her excellence coursing title. Y earned her CH title and Fast CAT racing title in 2016 in AKC. Hopps was born at our home and is one of our FOREVER family members. 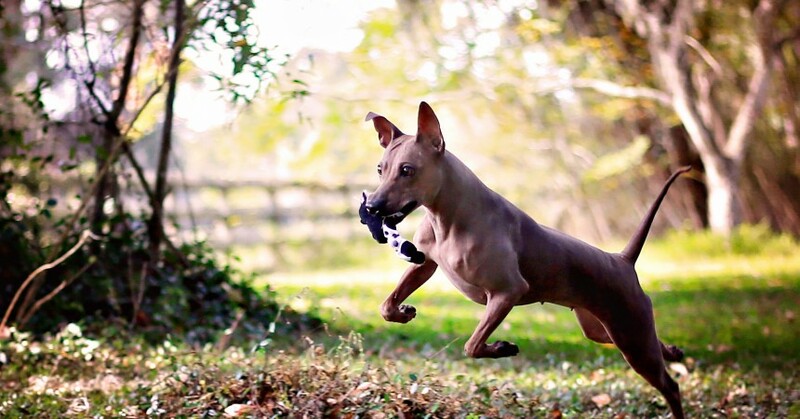 Hopps earned his CH conformation title at the age of 8 months at a Hurricane Alley American Hairless Terrier Association event in Lakeland, FL in July 2013. He went on to earn his GRCH title relatively quickly as well AND at the age of 9 months, took a BEST IN SHOW at the FL Toy Fox Terrier event in Lakeland, FL! Hopps is also a terrific performance dog with lots of racing and lure coursing titles. He was also in training to assist Corbyn as a service dog (Corbyn is a stroke survivor). However, Corb decided she could manage without her furry friend. Hopps has an amazing temperament and is a terrific pet!! I can’t wait to see how “Away” turns out with that beautiful color! Congratulations! They are so pretty! Can’t wait to see how the blue brindle blue girl turns out. Her markings are very pretty!